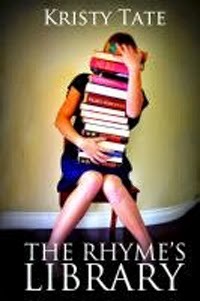 Originally, it took me three years to write all 102,409 words of my novel The Rhyme's Library. Most of those were stupid words. The story has since had a major haircut and is now a trim 80 thousand and something novel, but it's still more verbose than it needs to be. I'm not saying that in the last sixteen years I've gone from stupidity to witty cleverness. Not at all. I'm still learning, and I've learned a few things and I want to share. 1. Use Grammarly—the best online editing program I've found, so much more than a spell check. Applause thundered through the hall, and Rita and swept into a deep bow. The lights flickered as she made her departure, heading for the sanctuary of her dressing room. "Brilliant show tonight, Miss Ryan," called a boy carrying a food tray as they passed in the dimly lit hall. "Thank you, Charlie. Can you be a love and bring me a pot of tea?" "Sure thing. Sad this being your last show and all. I know everyone will miss you." Rita flashed her smile and fought back a wave of fatigue and loneliness. "And I will miss all of you," she said, knowing there was one she missed more than all the others. She blinked back the tears to which she had grown so accustomed; they returned every time she thought of Christian. She ached, wishing that Christian could be as predictable and ever-present as her tears. This wasn't how the story was supposed to end. She wasn't supposed to go to Europe by herself. If only their last words had been more loving. Because she did love him; she knew that now. And yet in cruel spite of his absence, her love for his memory seemed only to grow rather than diminish. She sighed and pushed into her dressing room. Her clothes lay scattered around the room, vying for a space in the large steamer trunk she would take to Paris. Flowers in vases crowded the dressing table and perfumed the air. She dropped her cape to the floor and slipped off her shoes. All of her dreams had been realized. Yet she had learned weeks, if not months, earlier that dreams are hollow and meaningless without someone to share them. She would rather be riding in box car and sleeping on loose straw with Christian than boarding a steamer ship and sailing first class to Europe alone. Applause thundered through the hall, and Rita and swept into a deep bow. The lights flickered as she made her departure and headed for the sanctuary of her dressing room. Rita flashed her smile and fought a wave of fatigue and loneliness. "And I will miss all of you," she said, knowing there was one she missed more than all the others. If only their last words had been more loving. Because she did love him; she knew that now. Yet in cruel spite of his absence, her love for his memory seemed only to grow rather than diminish. She sighed and pushed into her dressing room. All of her dreams had been realized. Yet she had learned weeks, if not months, earlier that dreams are hollow and meaningless without someone to share them. She would rather ride in a box car and sleep on loose straw with Christian than boarding a steamer ship and sailing first class to Europe alone. 3. Don't use words you don't typically use in conversation. I actually stopped reading Elizabeth Peters' novels because her frequent use of the word orb bothered me. Some words shouldn't be used more than once and some not at all. Same with phrases. I read a friend's novel where the lovers kept melting into each other. I'm not sure what that means, but it sounds messy and really shouldn't happen very often. If at all. 4. Watch out for passive sentences. The Rhyme's Library is riddled with them. Example: the word COULD. Claris COULD hear a soft voice in the background—versus--Claris heard a soft voice in the background. Another example: the word FELT. Claris ran a finger along Alec's glass of soda, and FELT the cold condensation wet her finger tips. Better-- Claris ran a finger along Alec's soda glass--the cold condensation wet her finger tips. Example: the word WAS. The trip to the morgue WAS a trip she COULD make alone--OR--She'd go to the morgue alone. 5. Evaluate criticism objectively. Since writing The Rhyme's Library, I've been told the same thing by two industry professionals—my plots are too complicated. The first to tell me this was an editor for a small romance publishing company; the second was a reviewer for Publisher's Weekly—the review was part of the "prize" for my placement in the Amazon Novel Breakthrough whatever. I live by the standard that I can swallow one critique with a sugar cube, but if someone else independently tells me the same thing I should probably take note. So, I'm reading my old manuscript and wondering--is this too complicated? Can I be less convoluted? Another thing I've been told by more than one writerly person is my work is "very British." Can you believe that two people who don't know each other would actually use the words "very British?" I don't even know what that means. Or what to do with it. Which brings me to number 6. 6. Love your work. It may have wrinkles, fat rolls, and zits, but ultimately, it is your story. It's your baby. Love it enough to cut away its rough edges. Coax it into simplicity. Shave off unsightly adverbs. Love it enough to leave it in a sixteen year time out. And if someone tells you your baby is very British tell them thank you very much and offer them a cuppa tea. Kristy is the mom of six incredibly brilliant and beautiful children, and the author of several novels. Although many of her novels have won awards and have ranked on Amazon's top 100 list, Kristy has yet to realize her lifelong dream of owning a Schnauzer farm. Kristy studied English literature at Brigham Young University and at BYU's International Center in London.